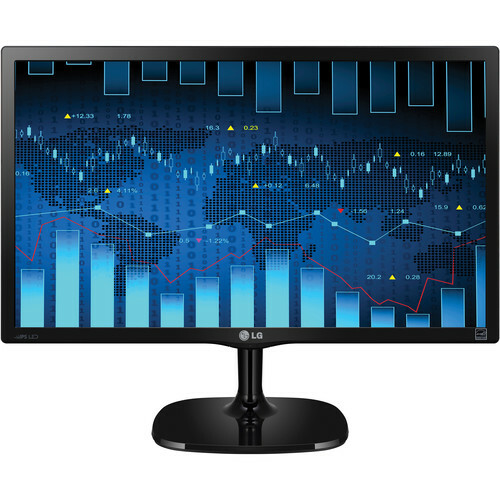 The 23MP57HQ-P from LG is a 23" IPS multi-tasking LED monitor featuring a 16:9 aspect ratio with a 1920 x 1080 native resolution. In addition, this IPS (in-plane switching) monitor supports 178° horizontal and vertical viewing angles allowing for enhanced viewing with reduced distortion. This display supports a 1,000:1 contrast ratio and has a 5 ms response time designed further enhance your photos, videos, and other content. The 23MP57HQ-P's rear panel features an HDMI and a D-Sub input. The monitor has a detachable base, and is VESA compliant wall-mountable. The 4-Screen Split feature allows you to run several programs and have multiple active windows on the screen at the same time. The Flicker-Free technology allows you to work for longer periods of time without straining your eyes. The Reader Mode is activated with a touch of a button. It allows the reduction of blue light emissions that can be harmful to the eyes, while the Color Wizard helps vision impaired viewers to adjust the RED and GREEN levels accordingly to easily distinguish colors.